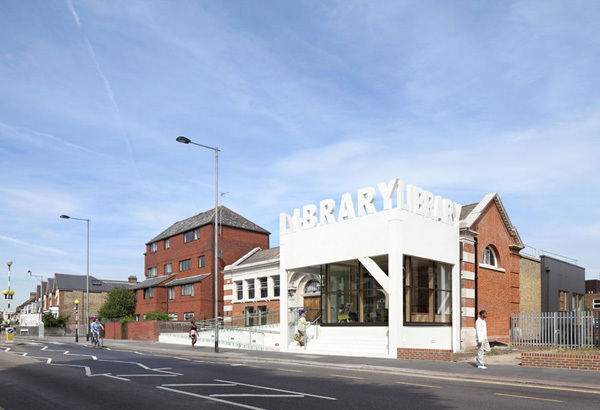 The project involves the refurbishment and extension of an existing Edwardian Library in Croydon, South London. 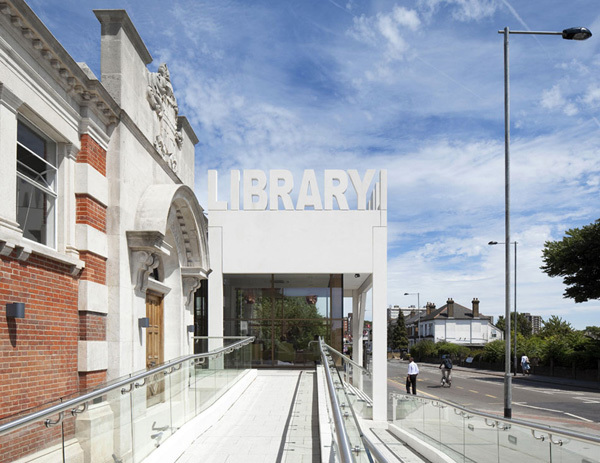 FAT were originally commissioned by Croydon Council to undertake a feasibility study of the library looking at how it could be modernised to achieve contemporary access requirements. The ground floor of the building included several difficult changes in level while the lower floor and rear garden remained inaccessible. In addition the building fabric was in poor condition and the original interior detailing lost under a number of additions and modifications. 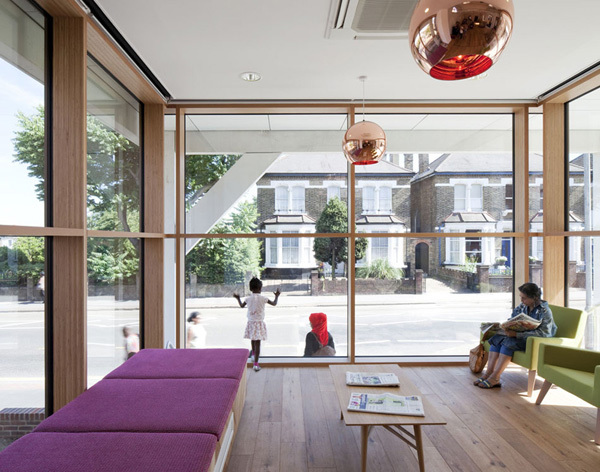 FAT's redesign results in a completely new entrance sequence and 50% more usable floor area. 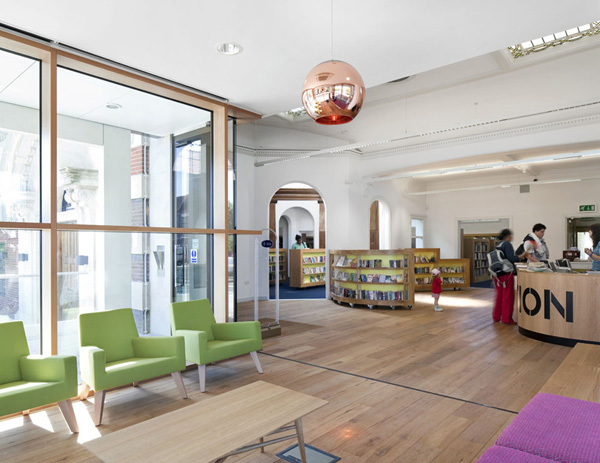 The lower ground floor has been completely opened up to form a children's library and community meetings rooms which also provide access to the rear garden. At the front of the library a striking new reading room and entrance pavilion has been placed to one side of the original entrance. 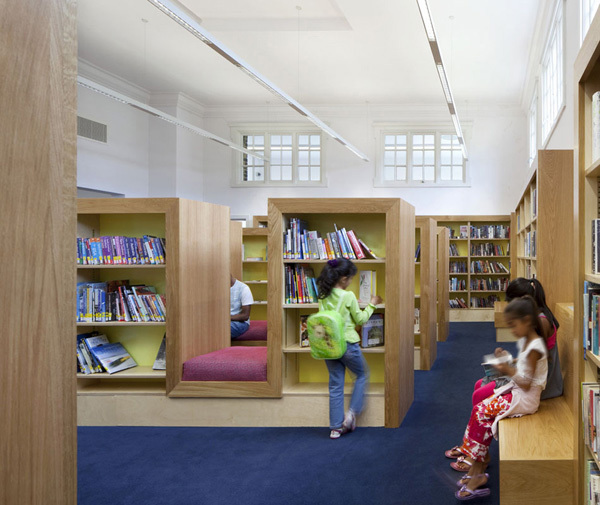 This new structure resolves the various access issues in a generously proportioned new entrance sequence and also provides an elegant new reading space inside. The building fabric has been refurbished and upgraded both internally and externally. Original features have been retained within a new, spacious interior that emphasises the fine proportions of the original building. 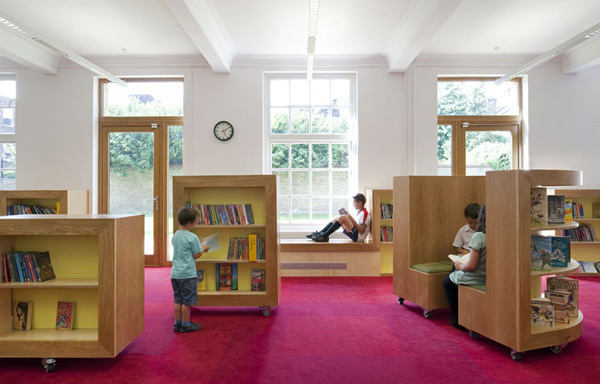 New bespoke shelves and furniture - also designed by FAT - provide subtle reading niches and seating alcoves and are on castors to allow flexible arrangements and future expansion. The pavilion is constructed from pale white pre-cast concrete with a highly polished surface which harmonises with the stone detailing of the original building. At the top of the pavilion is a metre high three dimensional 'frieze', a literal sign that proudly announces the building's civic function.